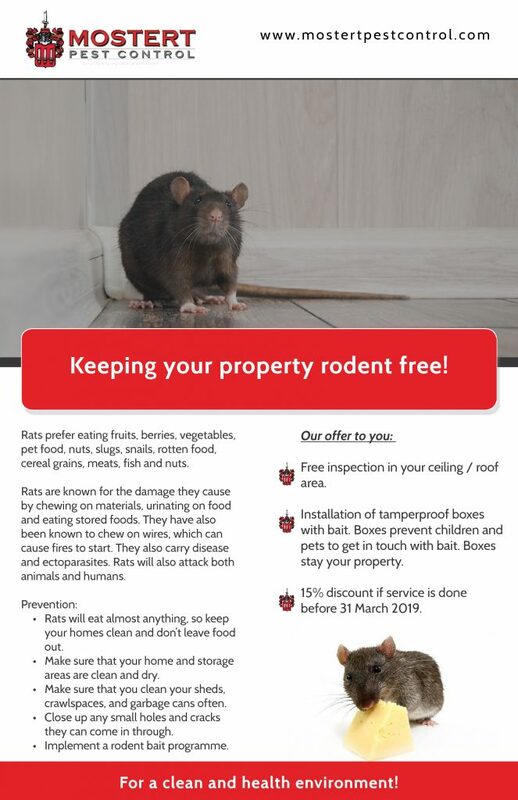 KEEPING YOUR PROPERTY RODENT FREE! ANTS – FRIENDS OR FOE? Is the Humble Ant a Friend or a Foe? There are more than 12 000 different species of ants in the world. Did you know that an ant can lift 20 times its body weight? Certain queen ants are able to live very long (many years, in fact) and produce millions of baby ants! Ants can be as little as the dot on a page or almost a few centimetres in length. But the big question here is – is the ant a friend or a foe? Ants are excellent diggers, turning over and aerating the soil by tunnelling the ground so that water can penetrate the soil easily. Ants also assist in dispersing seeds of numerous plants, and in many instances, ants will dislodge insects that are harmful to flowers and plants as they search for nectar on the stems of plants and not on petals. Furthermore, they are predators and will eat slugs and caterpillars and other harmful garden pests. Ants in the home feed on the eggs of other insects that are problematic such as cockroaches, flies, fleas and bedbugs. Ants are also a food provision for certain birds, frogs, fish, other ant species and mammals. Ants become problematic when they invade our homes and gardens when they seek shelter and food – this happens especially when there are drought conditions. In some instances, ants are invited into our homes without our knowledge and become a problem, especially when we leave food out and they come in search of these food sources. When the nests of ants become large, it is almost impossible to keep ants out of the home. When ants start invading our environment, they become a real nuisance and extremely problematic. The only way to eliminate this problem is by making use of the services of a professional pest control company where they will be able to identify the source and unearth the nests. Ant infestations are a huge problem and before we know it, they can get into almost every single item of food when they invade our homes. This is when it is necessary to call in the professionals to eradicate the problem for once and for all. Flea-borne infections are emerging and re-emerging right across the globe, with a rise in incidents. Their distribution and that of their vectors are rapidly on the rise. Because fleas are tough to get rid of, it is advisable to call in pest control experts to identify the problem, where the infestation is worst and how to eradicate infestations altogether to protect your family and pets from any diseases they carry. Fleas reproduce fast, particularly if you have pets. Even people who don’t have any pets are at risk of flea infestations as fleas can still make their appearance outside the home and in the garden. Fleas breed in tall grass, shaded spots near decks and in woodpiles as well as in storage spaces. They are especially fond of wooden floorboards, carpets and bedding. Fleas love birds, too, and all types of birds are carriers of these nasty little creatures that are so hard to get rid of. Fleas can jump extremely high as they have super-long legs. The hind legs are adapted for jumping. They can jump 33 cm vertically and 18 cm horizontally. Relative to body size, the flea is the best jumper of all animals. Fleas transmit diseases when they consume blood from an infected host. They feed on all animals with hair, such as dogs, cats, mice, rats, rabbits and all other domestic and wild animals. Your pets need to be free of fleas for numerous reasons – not only can bites cause itchiness and blistering of the ears and other unpleasant reactions to the saliva of the fleas; in severe cases, fleas can even transmit tapeworm and other more serious diseases. Although fleabites will usually go away even without treatment, once you have an infestation you will find it impossible to get rid of no matter how many times you vacuum, de-flea your pets, wash your linen and clean your home. It is important to call in expert pest control experts once you have an infestation to get rid of the problem. Treat your pets throughout the spring and summer season to ensure they are not affected. It is necessary to look for signs of termites in your home. If you know drywood  termites are in the neighborhood it’s a good idea to make regular checks around your house or apartment to catch them as early as possible and prevent termite damage to your home. The NOVITHOR Pesticide Free Termite Protection System can be used during the construction phase, as well as post construction. All three elements work by creating an impregnable barrier that termites cannot chew through or damage, and that is resistant to their secretions. In fact, NOVITHOR Termite Proofing Resin and NOVITHOR Termite Proof Cementitious Parge are granite-like when set. For a healthy and clean environment, choose professional pest control services, but arm yourself with plenty of background knowledge. Find out what types of pests are more prevalent during which season and what months they are most prolific. Furthermore, if you are worried about the birdlife in your environment as well as the pets in your home, choose pest control services that will eradicate the problem in a pesticide-free manner. Doing a DIY job for pests is not always effective. Hiring professionals will always be the best way moving forward. This is particularly true if the pest infestations keep on coming back (think ants and roaches)! Only ever hire professional pest control services with a long track record for guaranteed results. Bites and stings seem to be unavoidable during South Africa’s hot summer months. There are definite ways on how to treat bugs during the festive season, but wherever possible, it is best to avoid these wherever you can. The people who need the most protection from stings and bites are the elderly and young children as well as those that suffer from cardiovascular disease and those suffering from allergies. But bear in mind that most of the things that bite and sting do so in defence, so best to avoid these at all costs especially if you know where they are hiding. The most dangerous and perhaps the most unlikely you might encounter falls into two groups – these are neurotoxic and cytotoxic. The most common and notorious of the neurotoxic creatures is the Black Widow Spider. The poison is enough to kill a small child, so best to teach your children to respect all creatures and all times and to leave well alone. It is only the female of the species that bites hence the name Black Widow. Other creatures that are neurotoxic are the brown widow, the Baboon Spider and Scorpions. Weakness in the legs and elevated blood pressure will also be experienced. Vomiting, nausea and salivation will also take place. If you suspect you have an infestation of creepy crawlies this summer call in the professionals to fumigate any problematic areas. 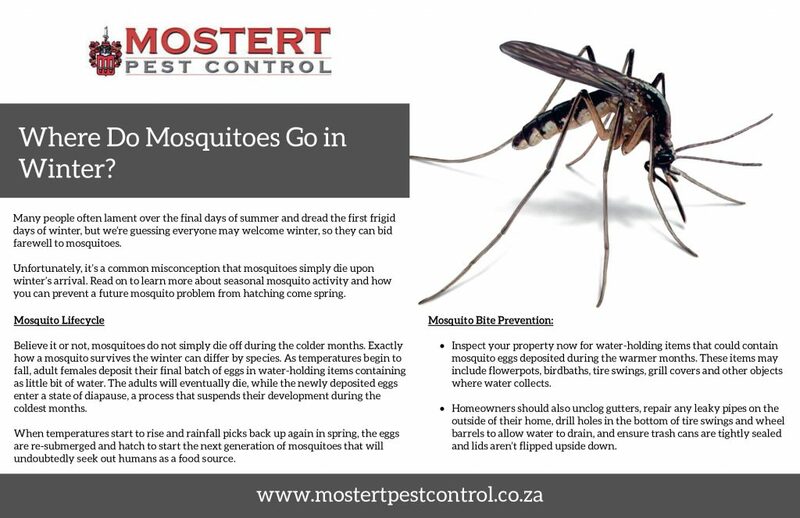 This is perhaps the best way of how to treat bugs during the festive season which occurs during the hot summer months in South Africa. Some creepy crawlies are unavoidable, especially during the hot summer months, but taking the necessary precautions can go a long way to avoiding bites and stings. Cytotoxic creatures are more common than bites from neurotoxic creatures. Two cytotoxic spiders to keep a look out for are the Sac Spider and the Violin Spider. The Sac Spider is commonly found in the home and makes a little silky pocket in the fold of bed frills and curtains. The Violin Spider is often found in piles of wood, behind pictures, in garages, in cellars and under rocks, and even when clothes are left lying on the floor. They have a habit of finding a home in blankets and duvets that have been stored away. Both are nocturnal creatures and bite their victims when they are fast asleep, rolling over onto them. Be alert and avoid them if you can as they are usually quite shy. Seeking medical attention is important especially if the patient shows any of the above symptoms. Other creatures to avoid during the summer months are ticks, mosquitoes, wasps and bees. The best method and tips on how to prevent creepy crawlies in summer – apply common sense and ensure you don’t leave clothes lying around on the floor; wash your curtains regularly and clean out your cupboards to avoid infestations. If you are concerned about creepy crawlies it is best to call on the experts for professional advice. It is imperative to keep your living and working space rodent-free for a variety of reasons. Not only do rats bring disease but they can cause havoc all round in offices, homes, factories, shops and restaurants, to name a few examples of where they breed and live. The best way to tackle your rodent control is by finding a rodent control specialist near you, instead of trying to eradicate this problem on your own. Therefore, when it comes to rat infestations we are dealing with a problem that is far more than just annoying. Did you know that rats can eat as much as ten to 15% of their body weight every day in food? Additionally, rats need to feed between 15 and 25 times every day. Rats are able to live to the age of two – brown rats will eat absolutely anything, often leaving their food strewn on surfaces and urinating on the food to mark their territory! Not a very appetising thought, whereas black rats, on the other hand, are a little fussier and choose what they will and will not eat. Rats chew electricals and increase the risk of electrical challenges and fires, costing thousands. Because rats have a nasty habit of defecating and urinating numerous times every day, this could cause disease and attract other rodents. Even though rats are less fussy when it comes to what they eat, they can still cause untold problems and can ruin the eaves of roofs. Rats can damage both the inside and the outside of roofing. Because black rats prefer chewing on roof leaves, these often create holes that permit other rodents and even rain to get inside your home. Hungry rats that don’t live inside will venture outside and start eating vegetation, resulting in ruined gardens. Find a rodent control specialist near you to get to the root of the problem and eradicate it entirely.